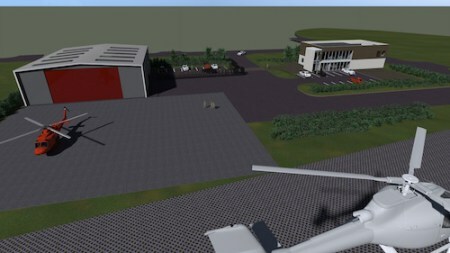 A new purpose-built state-of-the-art HH including offices, a hangar and helipad and pilot welfare facilities, is under construction in Llanelli for Wales Air Ambulance service. The two-phase project is being funded by the European Regional Development Fund, Welsh Government and Carmarthenshire County Council. Developers and main contractors are Hacer Property Development, with Powell Dobson as project architects and Kevin Doherty Building Contractors as project managers. 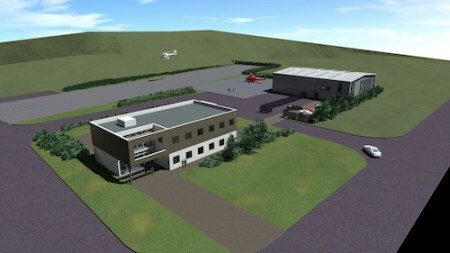 The site at Llanelli Gate will be home to the charity’s South Wales based helicopter and fundraising headquarters, which are currently split between two separate premises in Swansea. 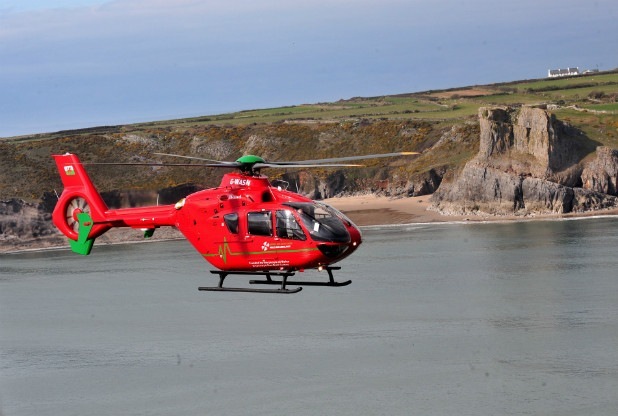 It will be the first time Wales Air Ambulance has owned its premises, and this will save the charity tens of thousands of pounds annually in reduced costs, including in rent and fuel supply. It will also be the first time that the charity’s head office will be located together with the aircraft. The extremely fast track project is being carried out in two phases, with the first phase, involving the construction of a shell office building of 650m2 and a hangar building of 600m2 to house helicopters and ancillary support services, as well as external works, due to be completed in November 2015. This will be followed by a second phase, including the provision of the landing pad and pilot welfare facilities, as well as the fit out of the premises. 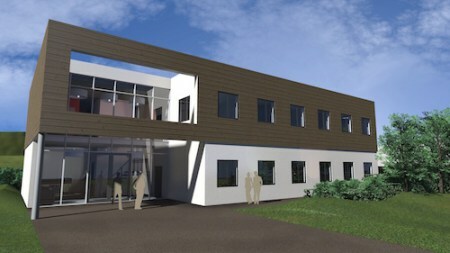 Under construction on a brownfield site, the two storey main office building is structured around a steel frame with external elevations in rendered blockwork with elements of timber cladding, incorporating aluminium framed windows and large areas of curtain walling to ensure high levels of natural light internally. The building will have a flat roof concealed behind a parapet and high levels of insulation. Internally, the Phase I works include the provision of open plan ground and first floors, toilets, a staircase with steel and glass balustrading and a lift. This phase also includes the construction of the hangar, which is a steel portal framed building with a shallow pitched profiled metal cladding roof and external elevations in profiled metal cladding, incorporating glazing and special doors for aviation use. The concrete slab for the building was laid by Hacer Developments, with the building construction being carried out by Shufflebottom. External works include the installation of attenuation ponds, laying a path around the building, further paving, the formation of a car park, topsoiling ready for landscaping and the formation of a new access road to the site. Phase 2 includes the installation of internal partitioning to form the main building’s offices and meeting rooms, plus mechanical and electrical installation, the installation of suspended ceilings and floor finishes, and decoration. This phase also involves the construction of pilot welfare facilities including offices, storage areas, bedrooms and mess rooms. Other elements of the works include construction of the concrete helicopter landing pad and flight strip, as well as the erection of secure perimeter fencing. “We have had great support on this project from everyone involved, including Carmarthen County Council and the Welsh Government,” said Carwyn Davies.